With offices in Cincinnati and Liberty Township , Dr. Tonya D. Lindsell & Associates proudly serves OH. Call us to make an appointment with our eye doctors to talk about your eyeglasses, contact lenses or specialty lens needs. You are also welcome to drop in anytime to browse through our large selection of designer eyeglass frames and sunglasses. Scroll down for more details about our practice location and hours. Dr. Tonya D. Lindsell & Associates in Cincinnati and Cincinnati Vision Group in Liberty Township have been serving Kenwood, Maderia, Mason, Silverton, Pleasant Ridge, Norwood, Roselawn, West Chester, Mason, Morrow and Dayton for more than 12 years. Call us to make an appointment with our Lenscrafters eye doctors in Cincinnati & Liberty Township to talk about your vision needs. Cincinnati has been nicknamed “Pearl of the West” – due to the stunning mountain landscape that surrounds it. Nowadays, this lively Ohio city gleams with a wide variety of cultural and recreational activities. There are plenty of outdoor sites, historical gems, and culinary delights to please every local and visitor to Cincinnati, OH. Eden Park, located in the stylish Mount Adams neighborhood, has 186 acres of greenery and tree-lined paths to explore. It also shows beautiful views of the cityscape at night. Another place to stroll across and see striking views of the city is the John A. Roebling Suspension Bridge, a Cincinnati icon. As long as you don’t have a fear of heights, we recommend going to the 49th story of the Art Deco Carew Tower building to gaze at a 360-view of the entire region from the observation deck. Cincinnati has three amazing theaters: the newly renovated Music Hall in the Over-the-Rhine neighborhood, the modest-sized and brand-new Otto M. Budig Theater, and the newly renovated, massive Ensemble Theatre. Each one of these performance spaces has an entertaining calendar of year-round events. One of the best shows to watch in Cincinnati is a Reds game at the Great American Ball Park. The Cincinnati Museum Center occupies an Art Deco railroad station that dates back to 1933. There are three interesting museums at this single site – the Cincinnati History Museum, Museum of Natural History, and the Duke Energy Children’s Museum. The exhibits are rotating and always draw a crowd. Another notable museum that will thrill the art-lovers among you is the Cincinnati Art Museum, with masterpieces from around the world and spanning a long timeline. As long as we’re discussing Cincinnati museums, we must mention the American Sign Museum. This colorful and original museum features 19,000 square feet filled with every type of sign known to man, with a lot of glowing neon. Eat and drink! The best way to stay energized for enjoying Cincinnati is with chili. Head to Dixie Chili and Deli, Skyline Chili, Gold Star Chili, or another of the many places that specialize in this dish! Smother your hot dog or pour it over spaghetti, the way you eat this local favorite is entirely your choice. Wash your meal down with a drink at the oldest bar in the city, Arnold’s bar and grill. Looking to satisfy your sweet tooth? Pick up dessert at Graeter’s, where you can lick scoops of creamy French-pot ice cream packed with chocolate and other confections. Now that you’ve explored some of what Cincinnati has to offer, it’s time to invest some energy into keeping your eyes healthy with a visit to Dr. Tonya D. Lindsell & Associates. We are happy to serve Cincinnati with friendly, personalized eye care. Our office is located conveniently in Kenwood Square, next to many popular retail stores and great places to eat before or after your eye exam. We make it easy to fit your vision care into a day of shopping in Cincinnati, OH! 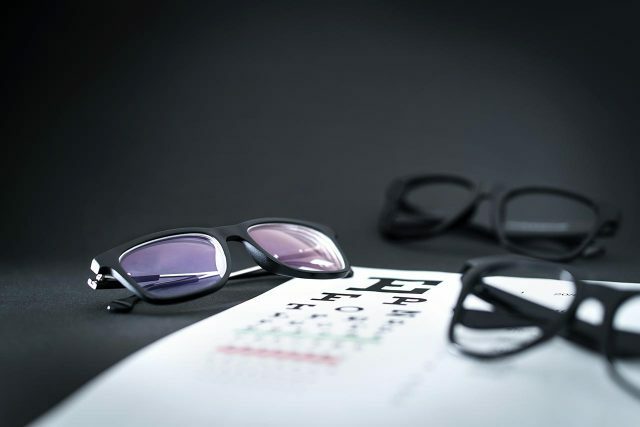 Our vision care center is furnished with a comfortable atmosphere and cutting-edge optometric technologies, such as the Clarifye digital eye exam, so you can trust that your eye exam will be precise, efficient, and pleasant. During your comprehensive eye exam, our eye doctor will check your eye health thoroughly for any changes, signs of ocular disease, or any abnormalities. If you are diagnosed with a condition that requires treatment, our experienced optometrist will provide advanced treatment to prevent complications and vision loss. Do you suffer from dry eye? We offer customized dry eye treatment in Cincinnati. If you experience eye irritation such as redness, blurry vision, and/or stinging or burning, we will inspect your eyes thoroughly to diagnose the cause and recommend treatment. We offer a range of helpful therapies, including LipiFlow by Tearscience, a revolutionary system to provide lasting relief from the annoying symptoms of dry eye; ask us for more info! Our eye doctor specializes in fitting specialty contact lenses, such as scleral lenses and ortho-k. If you have keratoconus or another corneal disorder, don’t give up on clear and comfortable vision! We will evaluate your cornea to check your candidacy for scleral lenses, which successfully offer sharp and healthy sight for many people with irregular corneas. 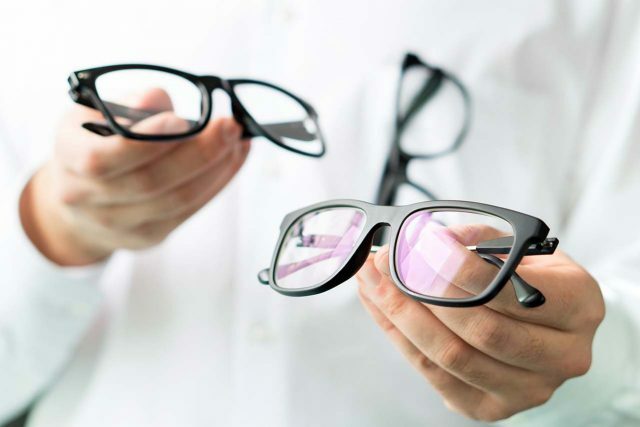 If you are tired of wearing daytime eyewear, orthokeratology may be right for you! These specialized contact lenses are worn only while sleeping and removed in the morning to give crisp and clear vision throughout the day. Book an eye exam to find out if you qualify for revolutionary ortho-k lenses.